Just about every gardener in Burke County has some blueberry bushes in their garden. Proper pruning of these plants is important to keep the harvest bountiful and the plant healthy. 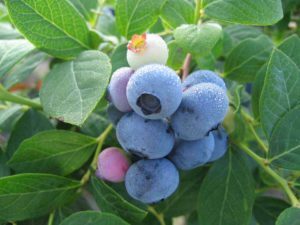 The North Carolina Cooperative Extension in Burke County is offering a blueberry pruning workshop on Wednesday, February 27, 2019, at 1:30 p.m. at Perry’s Berrys, located at 1136 Browning View Rd. in Morganton. Extension professionals will be on hand to teach gardeners how to keep their plants growing and bearing. This workshop is free but registration is required. Please call the office at 828-764-9480 to register. Class size is limited.